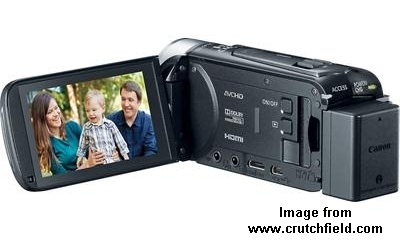 The $259 Canon VIXIA HF R400 Camcorder allows for an external microphone to be plugged into it as well as external headphones. This is a feature that is extremely difficult to find as of this posting for $259. You'll notice the audio quality difference when comparing the two videos below. 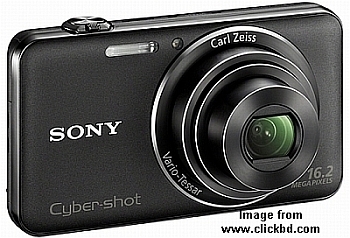 The $99 Sony Cyber-Shot DSC WX-50 is a point and shoot still camera with lots of features. It's great in low light. I shot the video to compare the audio quality as well as the image quality. The audio comes across like I am talking in a barrel which is common with built in microphones. The audio quality on the Canon is far better. However, I personally think the image quality on the Sony is better than the Canon. In video, sound is critical. You'll have to decide for yourself when watching and listening to the videos below if you like the ability to plug in an external microphone or can live with the talking in a barrel sound of a built in camera microphone. Since I am embedding both videos here from YouTube, you can ignore my reference to the links of the other video in each video. I have the links on the YouTube channel which are not needed here. Both the Canon and Sony can be found on Amazon where you can also see more detailed specifications.